A Change From The Box!, The Scottish Music Shop - The Best Selection of Scottish CDs and Scottish DVDs. A Change From The Box! 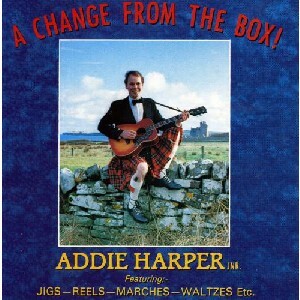 Here you will hear Addie showing off his tremendous talent on a wide variety of instruments. Although he is a piano accordion player, he has decided to give the Scottish music scene a pleasant change using the guitar as lead instrument.